Light and Wooten Construction offers comprehensive Residential and Commercial Construction services to Whitesboro, Sherman, Pottsboro, Gainesville, and all surrounding communities. As the premiere General Contractor in the area, you can trust that we will uphold our reputation for excellence, regardless of the size and scope of your project. 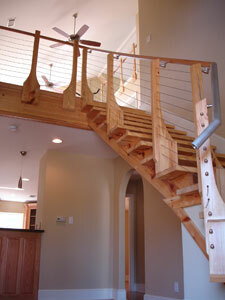 Light and Wooten Construction brings extensive experience and a passion for our work to every project we're assigned. We strive to work closely with our clientele to ensure each project accurately addresses your functional needs and aesthetic vision. From sophisticated commercial work, to custom home building and remodeling, Light and Wooten Construction is committed to fulfilling your construction goals.